Example KickStart Circuits & Code. 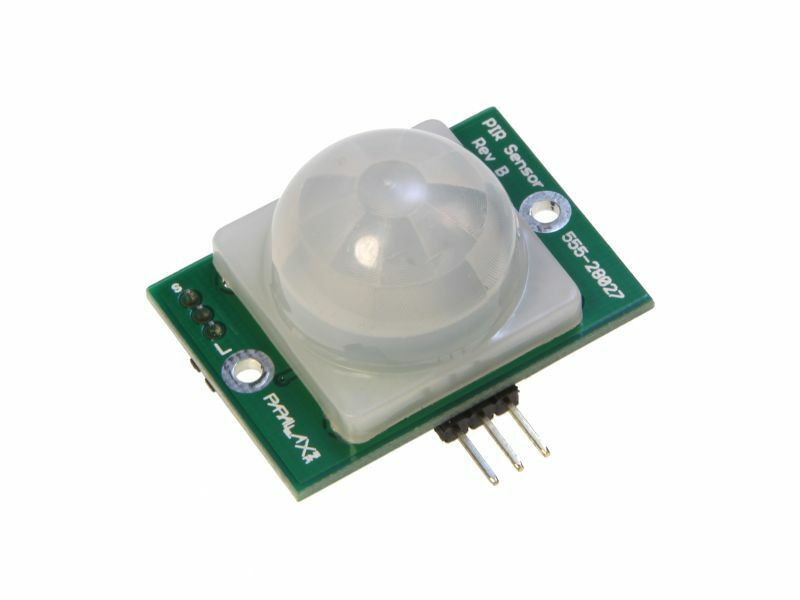 The PIR Sensor detects motion by measuring changes in the infrared (heat) levels emitted by surrounding objects. 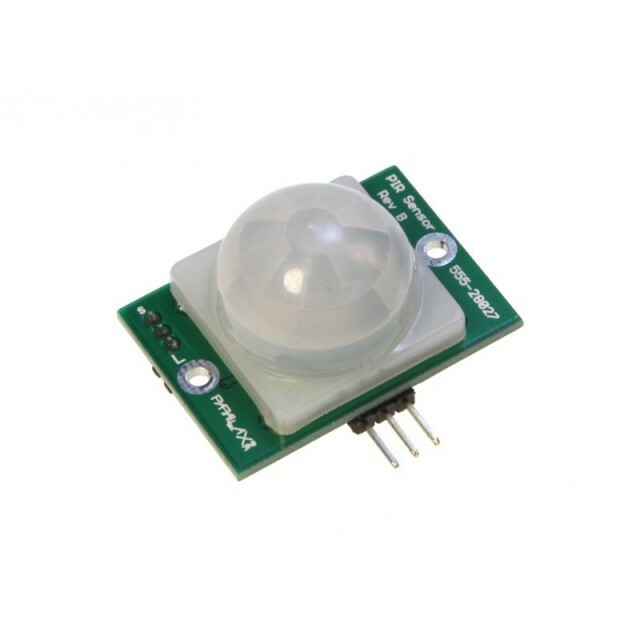 When motion is detected the PIR sensor outputs a high signal on its output pin. Longer detection range, selectable by onboard jumper. Wider supply voltage, from 3 to 6 VDC. Higher output current provides for direct control of an external load. Mounting holes included for permanent projects. Detection range up to 15 ft. away on short setting, up to 30 ft. away on long setting. 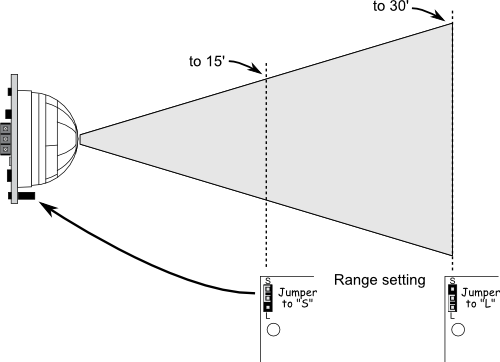 Onboard LEDs light up the lens for fast visual feedback when movement is detected. Mounting holes for 2-56 sized screws provide easy integration in permanent applications. 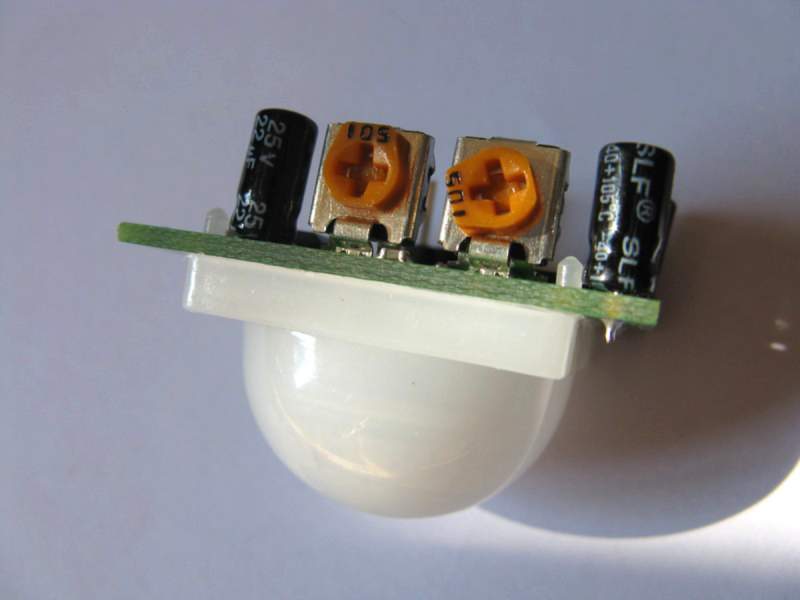 3-pin SIP package perfect for breadboard-friendly projects. Easy communication with any microcontroller. Small size makes it easy to conceal. 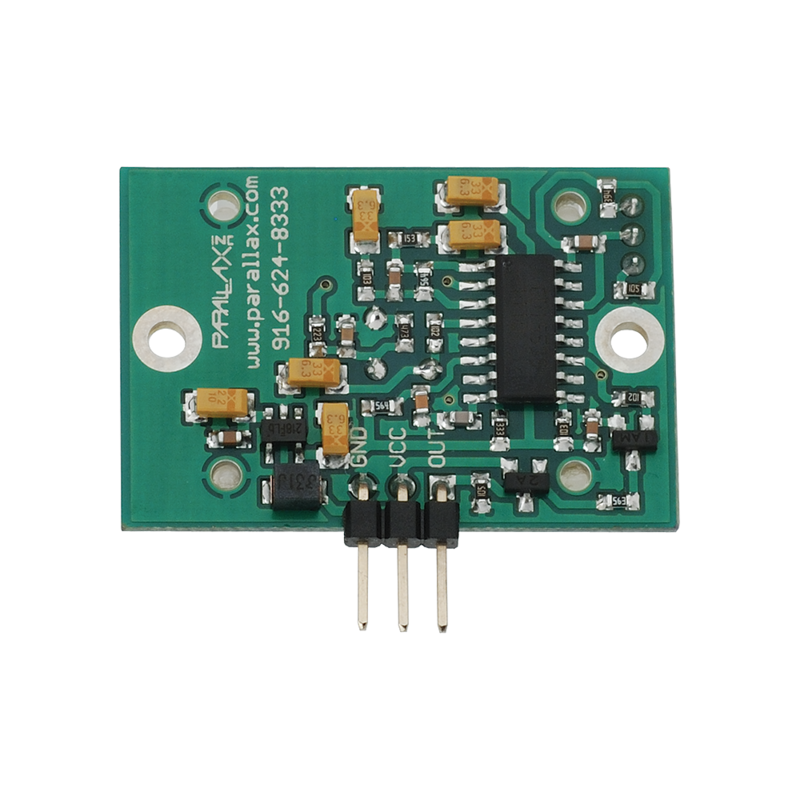 Source current up to 12 mA @ 3V, 23 mA @ 5V. Voltage requirements: 3 to 6 VDC. Current requirements: 130 uA idle, 3 mA active (no load). Communication: Single bit high/low output. Dimensions: 1.41 x 1.0 x 0.8 in (35.8 x 25.4 x 20.3 cm). Operating temp range: 32 to 122 °F (0 to 50 °C).